Jim Morrison would run for President. What if Jim Morrison had lived? What if he’d taken his near-death experience as a wake-up call, and sobered up enough to bring Ray Manzarek’s plan to fruition? What if, in 1984, circumstances had conspired to grant Jim the Democratic Party’s nomination? What if Jim Morrison actually did run for president? What would he do, what would he say? What if Jim Morrison stood on a stage and debated the sitting president? 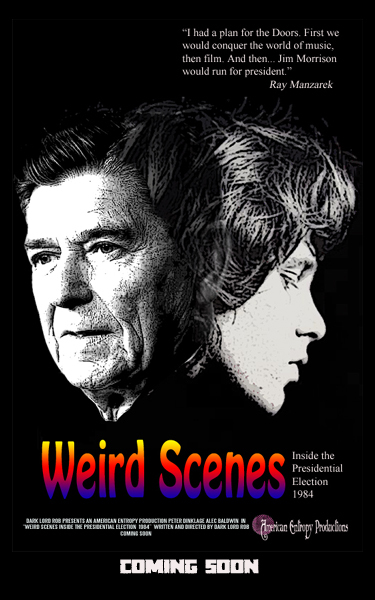 Ronald Reagan vs. Jim Morrison. What would that look like? Well, we aim to show you.